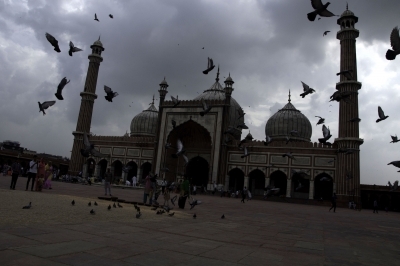 New Delhi, July 25 (IANS) It was a cloudy Tuesday morning here with the minimum temperature recorded at 26.6 degrees Celsius, one notch below the season’s average. The MeT has predicted light rains and thunderstorm. “It will be a generally cloudy sky. Light rains and thunderstorms are likely to occur towards the afternoon,” said an official from the India Meteorological Department. There has been 3.3 mm of rainfall in the last 24 hours . The maximum temperature on Monday settled at 33.4 degrees Celsius, a notch below the season’s average and the minimum temperature was recorded at 26.5 degrees Celsius, also a notch below the season’s average.